App Builder Appy Pie, December 21: This morning Apple announced the revision of the App Store guideline that had banned template apps or other apps that were created using templates and other app generation services. This guideline was introduced a few months ago with the intent to curb the cloned apps or apps of poor quality and the spamming of the app store. Though the introduction of this guideline was aimed at enhancing the user experience and providing only the best quality through the App Store, but its implementation had led to severe losses among the small business owners’ community including the restaurants, non-profits, organizations, clubs, and others who had been largely dependent on their apps to reach out to their customers and did not have sufficient funds to develop their own custom apps from scratch. 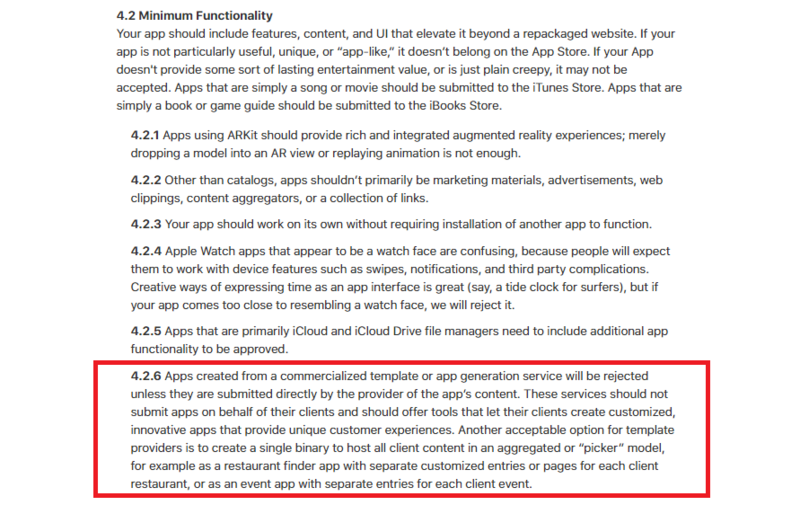 The revision of the rule actually offers a lot more clarity regarding the kind of apps that may not be accepted in the App Store. 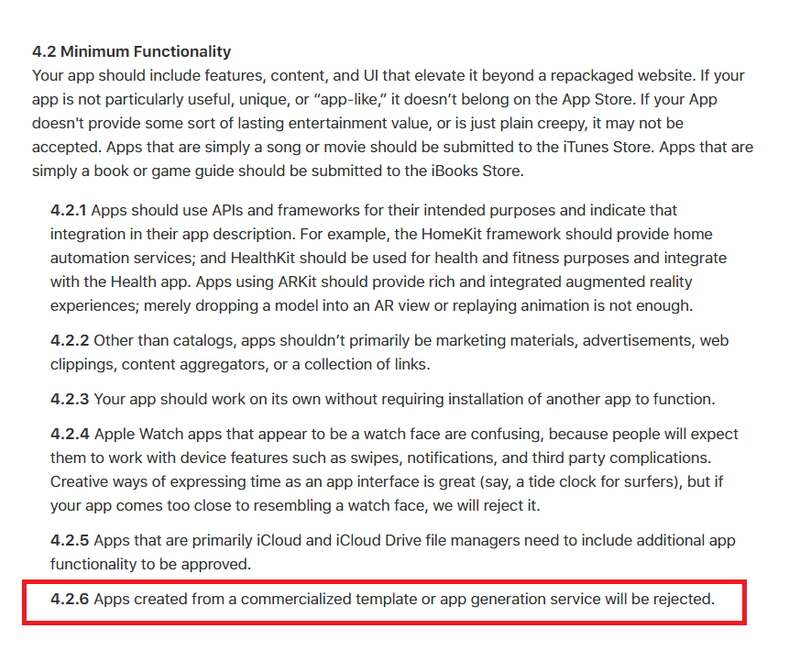 With this revision, Apple attempts to clarify its stand and stance on the templated apps. They are letting everyone know that they are okay with the small businesses availing the services of an app templating organization, the apps should be published by the owners only and not by the agencies or the templating companies. What this means for the small business owners is that they would have to be a lot more involved in the process of publishing the app and understand the documentation process and the licensing agreement of the App Store. Apple is not against the involvement of a middleman in the form of a templating service in creating and aiding the app owner in publishing as long as the app is published by the app owner and not a templating service. As we mentioned in one of our prior posts, the older guideline had led Appy Pie to reach out to senators and congressmen to seek out their support in our crusade against the invalidation of apps even from longstanding and legitimate developers who had never posed any perceivable threat to Apple’s integrity. 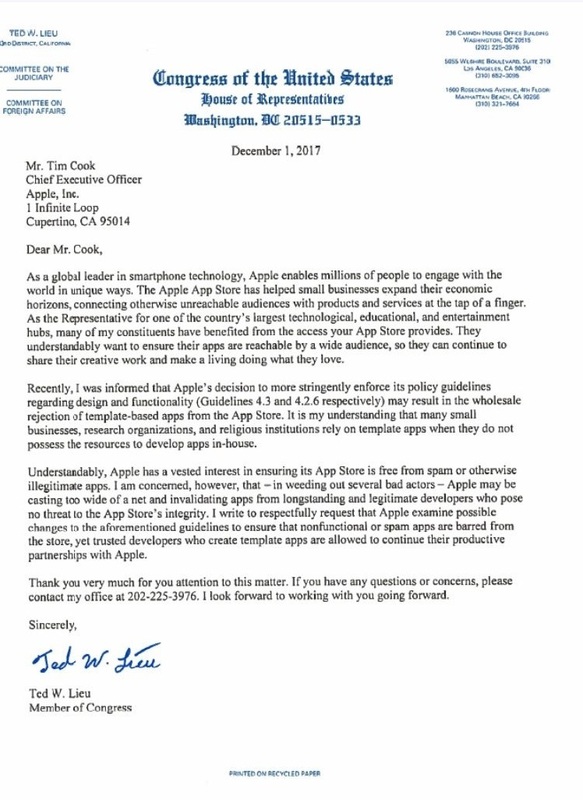 Ted W. Lieu had even reached out to Apple CEO, Tim Cook and mentioned that the organisation was casting too wide a net. What was ironic here was that the company who had in the past argued vehemently in favour of free and equal access to the internet was forging guidelines that made it near impossible for the small business owners and non-profits from conducting their business through the App Store. Though this would mean quite a few changes that would need to be incorporated for some, but Appy Pie is one of the few DIY app developers who always took it upon themselves to provide customized, innovative apps that provide unique customer experiences. Hence, the revised version of the guideline surely offers us a respite and allows us to continue providing the best services to its loyal clientele.